Improve Your Home Security | Coast to Coast Property Inspections Inc.
As a homeowner, you’re likely often looking for new ways to improve your home security so that it is safe for you and your family. When locking your doors and windows aren’t enough to make you feel secure, try implementing these four security measures so you can sleep better at night. There are natural ways to improve your home security that are less expensive than hi-tech methods. One such way is to include protective plants and hedges in your yard. You can use the strategic positioning of the plants to create a natural barrier between your home and the outside world. Not only will a barrier of shrubbery and plants provide you with security, but they will also provide you with privacy. Shrubs that are tall enough to block the view of your windows from the sidewalk will give you and your family an extra level of privacy. There are many different types of plants that can be used as a barrier depending on the type of protection you want. Some plants are best at providing a dense barrier while others have thorns that may deter thieves. Thorns are not a good choice of natural security if you have pets and young children, so choose your landscaping accordingly. Those looking to break into your home might scope it out for days. They’ll look to see how easy it is to get to your home from the sidewalk or through your backyard. One thing that potential burglars avoid is well-lit yards since they prefer to stay in the shadows. Installing motion lights on the outside of your home is an easy security measure that will improve your home security by detecting motion and illuminating sections of your yard. This can not only catch a would-be burglar in the act, but it can also alert you to animals who are trying to get into your trash bins and make a mess. CCTV cameras provide you with an accurate recording of activity in and around the outside of your home. CCTV cameras can be installed discreetly so as to hidden from would-be burglars.However, it may be more effective to install CCTV cameras that are obvious as a means of deterring a potential thief before he or she decides to target the home. CCTV cameras can also record at your front door in case you worry that someone might be stealing your mail or your packages. The benefits you get by installing a set of CCTV cameras to improve your home security can help keep your home safe in many ways. Installing a home security system will provide a tremendous sense of safety and comfort. Home security systems have benefited greatly from recent technological advancements. Most home security systems can be operated through an application on your smart device. 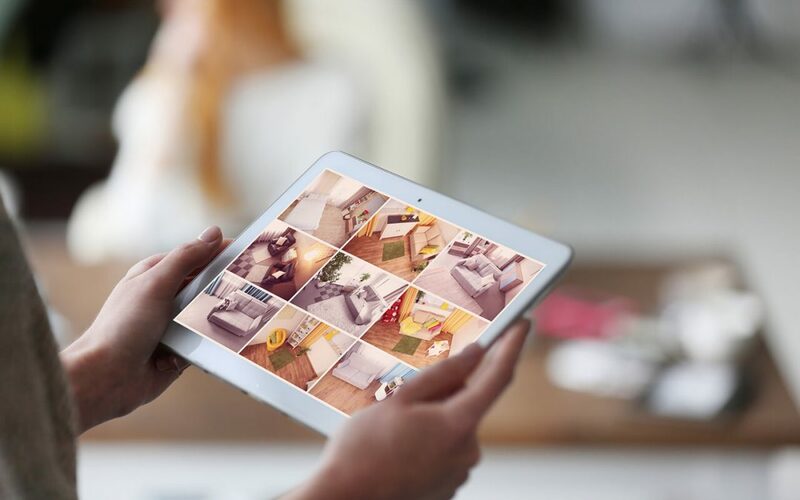 This means that you can operate your home security system remotely and view live video footage taken inside or outside, even when you’re not at home. Many popular features of modern security systems include light control, thermostat control, lock control, and alarm control. Modern home security systems put the important security features of your home at your fingertips so that you can respond to an emergency promptly. These features alone make a home security system an effective way to improve your home security. Coast to Coast Property Inspections serves South Florida with home inspection services. Contact us to schedule an appointment.